Genre/Influences: Neo-classic, chanson, cinematographic, folk. Background/Info: Matt Howden is back on track unleashing a 2nd EP from a trilogy, which took off with the “Lietuva”-EP. A final EP “Britannica” is in the pipeline. 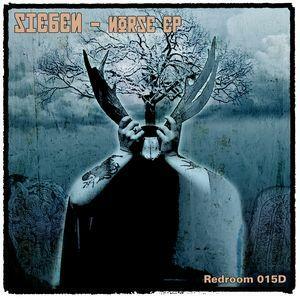 It all concerns digital releases ‘in their own right’ that will together form the new Sieben album “The Old Magic” on CD. Content: Matt Howden is a talented and experienced musician and that’s what instantly comes through on “Norse”. He creates a somewhat mysterious sound universe, which invites the listener to move in between haunting and dreamy passages. The work has a transcendental power, which would totally fit into a cinematographic music category. Howden is a great violinist who has the power to bring emotions to life. I get the impression of being embraced by the sweet and imaginary arms of melancholia. The songs are accomplished by the passionate vocals of the artist. And here again different feelings are coming through, mixing passion and sadness. + + + : “Norse” sounds like it is picking up there “Lietuva” left off. Different influences and styles are joining together resulting in a deeply artistic and emotional work. – – – : I regret this EP is only available on digital format. 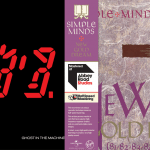 There are releases which definitely have to be immortalized on vinyl and/or CD format. Conclusion: “Norse” is the fruit of a refined musician and pure sound elegance. Best songs: “Loki 2015”, “Ready For Rebellion”.